Geographically speaking, Scotland occupies the northern third of the United Kingdom of Great Britain, sharing a land border with England to its south, and with Northern Ireland found to the south west, across the Irish Sea. Scotland is home to hundreds of islands and many archipelagos, all varying in size. The Isle of Skye is perhaps the most well-known, part of the Hebrides along the west coast, as well as the historically rich northern isles of Orkney and the slightly more far-flung Shetland Islands. It’s usually on these islands, particularly the Western Isles, where Scotch whisky is made; it’s one of the nation’s best exports, with some five hundred million bottles produced annually. Scotland boasts a mix of spectacular and spellbinding landscapes; it is a land of glorious, sweeping highlands with glistening lochs in the northwest, inhabited by a rich and varied wildlife, attracting high numbers of birdwatchers from around the world. 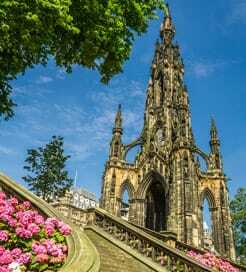 It has a blossoming arts and culture scene, which is most prominent in Glasgow, and countless castles, the most famous being the iconic hilltop fortress in the capital, Edinburgh. It’s believed there was once over three thousand castles in Scotland. Getting a ferry to Scotland from Northern Ireland is simple, with a choice of conventional and high-speed sailings connecting you to south west Scotland. The ferries are modern, well-appointed vessels and provide a short and frequent year round link across the Irish Sea. 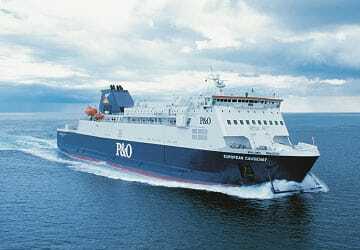 Though the direct passenger ferry link to Scotland from mainland Europe is no longer operating, the UK road network provides good access to all regions of Scotland. So if you’re travelling from the continent: going via England is a reasonable alternative, preferably sailing to a port in the north east England to minimise driving time. The Port of Newcastle is around two and a half hours from Edinburgh by car, while Hull is roughly four hours from the Scottish border. Scotland also provides a gateway by ferry between the UK and the numerous Scottish isles, great if you’re looking for an onward connection, or equally if you’re heading back to the mainland. For more information, please visit our Ferries from Orkney Islands to Scotland page. For more information, please visit our Ferries from Shetland Islands to Scotland page.